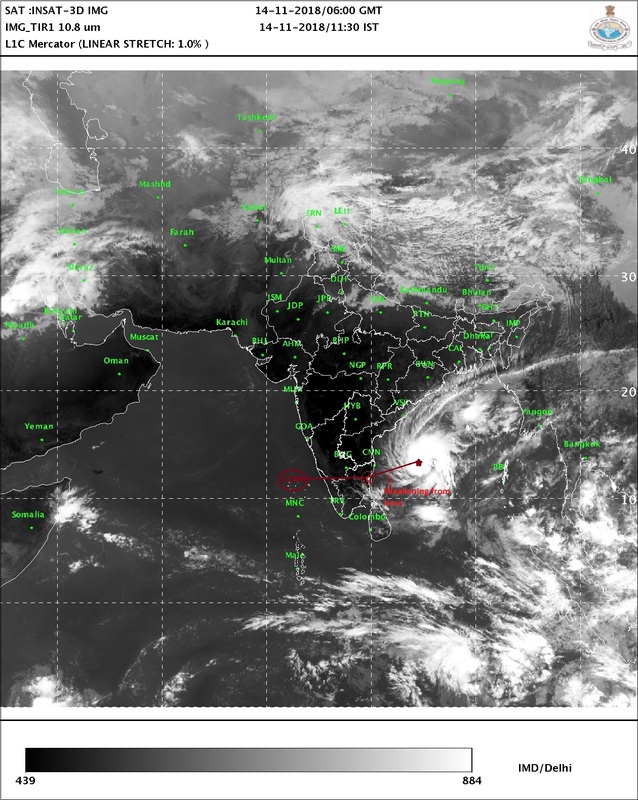 Posted Wednesday Afternoon:Position of "GAJA"
TN / AP wait with eyes on sky - waiting for rains to pour. Dry TN Chennai has only 10% water ! Hope cyclone is not weakening. Sir I feel that most of the rains will go to Pondy-nagapattinam area of central Tamil Nadu. Chennai could receive moderate rains by evening as the northern bands of gaja will cross Chennai area resulting in popups giving intermittent rains to Chennai.